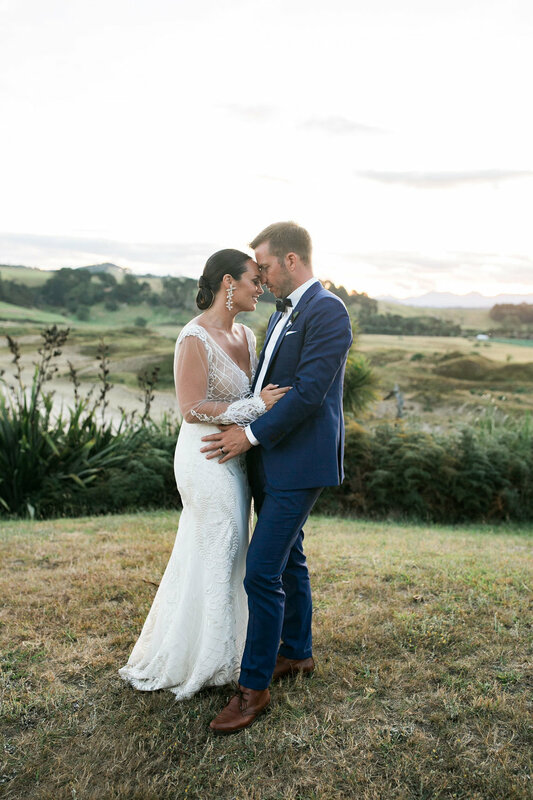 “I was lucky on one hand, we had plenty of time to plan and work through all the details with 18 months planning which helped chunk up the planning and the overwhelming nature of it all (on the other hand it can feel like the wedding is long awaited!). Something I would highly recommend to any couple is to hire a co-ordinator if one doesn’t come with your venue or if planning and styling is not your jam – honestly cut $ from somewhere in the budget and pass that stress to someone else. “I followed their posts and you spot one of their real brides who has amazing lighting – and you find your lighting supplier and so on! I found that there is this amazing network of wedding vendors that all work closely together if they have a similar vibe and aesthetic and your vision tends to be shaped from there. When you find those key suppliers honestly – they are the best. Talk to them, ask them about what else you are thinking for the day as it will probably turn out they are looking at adding something to their stock/ range. When I started planning I wanted big white umbrellas and leaners for the cocktail and games hours – and I originally thought I have no idea where to get these from– and then Lucy added them to her range, when you find ‘your suppliers’ they honestly bring your vision to life. ”I now understand why you have a bridal party! Even if you don’t want an official bridal party, having friends with a calming influence around you on the day of certainly helped and having family around really made the day special. We also had a night before welcome party so seeing everyone arrive, and in one place for one reason is pretty dam humbling I have to say. It made me even more excited for the day, and aware of what was important – sharing love with ALL of your favourite people in one place. Everything else just fades into the background. I personally really struggled the morning of the wedding waking up and having nothing to do and all the madness of planning was all of a sudden over- but knowing the co Ordinator and boys were running around doing last minute jobs and not being able to help wasn’t in my nature- so my advice would be to try and enjoy that stillness and quiet time on the morning rather than walk around trying to find things to do like I was!!! Haha – my bridesmaid and family just laughed at me, they thought it was hilarious and helped make me just sit and relax. 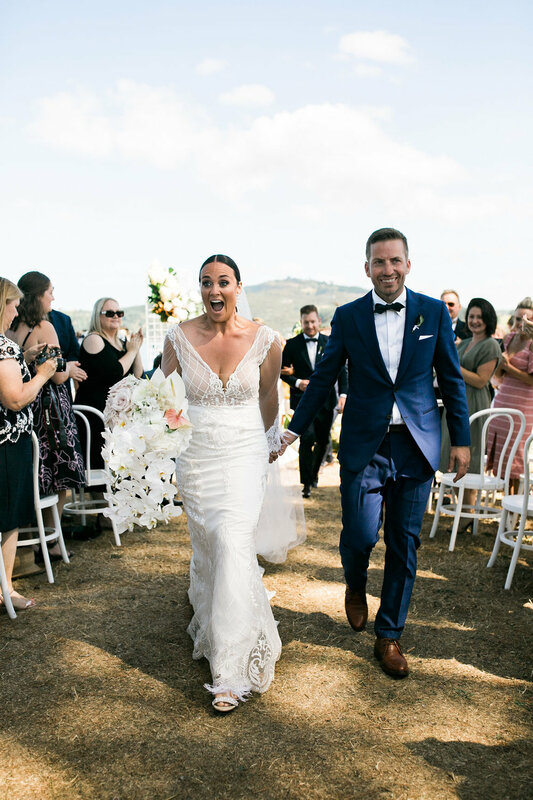 “When we first started planning both myself and my now hubby did our own budget for the wedding… and then we shared them over a bottle of wine one night! It was such a laugh, of course mine was a lot higher than Damien’s and Damien had low balled everything! “I have lots of advice ! All imagery courtesy of Bek Smith Photography.